Jason M. Brown is a group commander in the U.S. Air Force. He is a graduate of the U.S. Air Force Weapons School, Marine Corps Command and Staff College, Marine Corps School of Advanced Warfigthing, and Air War College. The opinions expressed are his alone, and do not reflect those of the U.S. Air Force, the Department of Defense, or the U.S. Government. 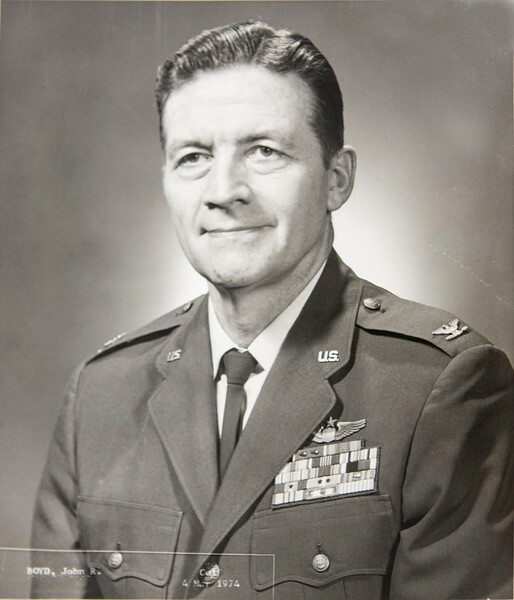 As our national security environment morphed into an enigmatic state over the past year, I found myself once again invoking John Boyd — the legendary fighter pilot and theorist who “changed the modern military,” as James Fallows once wrote. As I thought through the consequences of misjudging rapid geopolitical change, the fiasco of clear/hold/build, and the challenges of strategic patience, I recalled Boyd’s important advice…don’t just be a reactor, be a shaper. 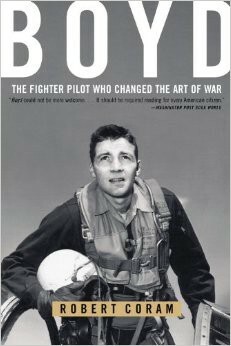 In 2006, I was heading to Marine Corps Command and Staff College when a friend suggested I read Robert Coram’s biography of Boyd. At first, I had no idea what the “OODA loop guy” had to do with the Marine Corps. After devouring Coram’s book, I saw the clear linkages to Marine Corps doctrine, and also discovered why Boyd became so revered. Having returned from a series of frustrating deployments to the Middle East, Boyd seemed to offer answers on what we were doing wrong and how we could do it right. It was easy to see why some (and eventually many) in the U.S. national security establishment embraced Boyd’s ideas in the era after Vietnam. 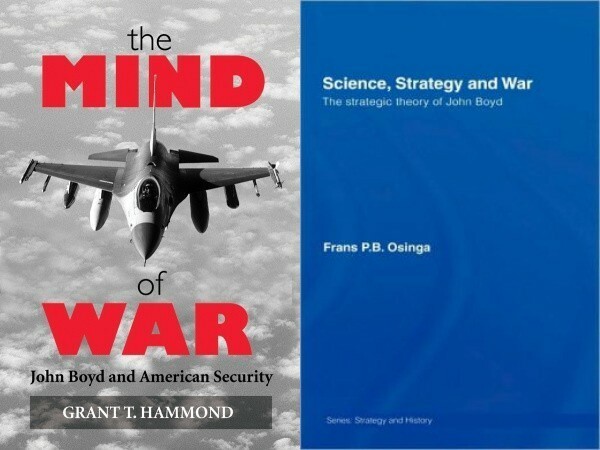 I began to read everything I could find on Boyd, including books by Grant Hammond and Frans Osinga, the latter being the most in-depth work on Boyd’s theory. I eventually made my way to the Marine Corps Archives to explore Boyd’s collection. Among the boxes was a single massively-sized videotape, with the word “Patterns” hand-written on the side label. The archivist directed me to their audiovisual department, who converted the tape to DVDs. Despite degraded audio and washed out overhead slides, Boyd came to life in a sense, and I was able to absorb his ideas more closely to the way he intended. Several things came through from watching Boyd — most obvious is his masterful use of body language, voice inflection, and constant arm-waving to deliver his points. Boyd captivates precisely in the way Coram and others described. The first major theme apparent in Boyd’s soundtrack is that conflict, first and foremost, is about gaining leverage over an adversary. Boyd describes the moral, mental, and physical realms to leverage, with a special emphasis on mental. In the video, Boyd creates suspense before delivering his important theme: terrain doesn’t wage war…machines don’t wage war…people do and they use their mind! The second theme relates to initiative, a word that appears 40 times throughout Boyd’s slides. Offense and defense are almost meaningless to Boyd…initiative belongs to one competitor or the other, and can happen from any posture at any time. Scuds in 1991, Fedayeen in 2003, and “little green men” in the Crimea last year all validate Boyd’s claim. As I progressed through the program at Quantico, Boyd’s ideas provided a strong contrast to those of other Western military theorists, including Carl von Clausewitz, the darling of the American professional military education system (or at least the faculty). Whereas Clausewitz was an aged Scotch best appreciated by refined palates, Boyd was a can of Red Bull providing the needed focus on conflict itself. 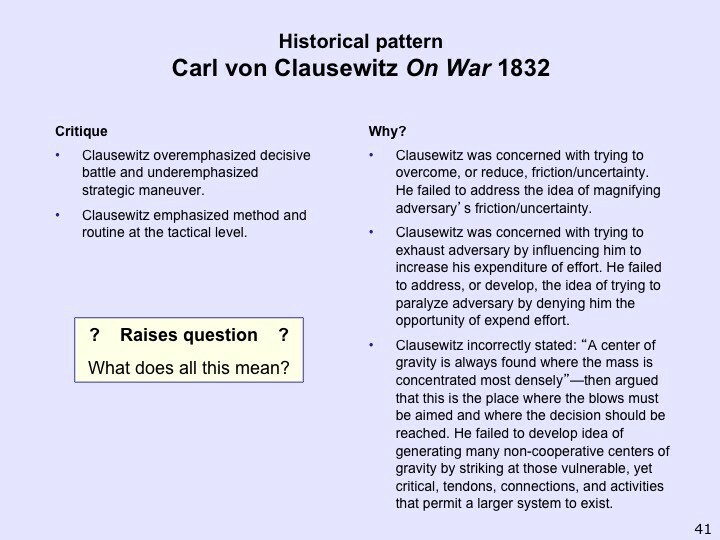 While Clausewitz was self-reflecting, Boyd sought to shape reality, which resonated with those closer to the fighting. Personally, I used Boyd’s theory to offer a better model for dynamic targeting (one of my deployment frustrations), and as intellectual fuel to establish mission-type orders as a means to harmonize intelligence, surveillance, and reconnaissance operations. When it comes to tactics, Boyd’s ideas have an unquestionable practicality. 2007 marked the last high-point of Boyd’s popularity, highlighted by a conference at Quantico hosted by Boyd acolyte Chet Richards. It was well-attended and featured notable speakers including retired generals Anthony Zinni, Al Gray, and Paul Van Riper. The highlight for me was Frans Osinga’s excellent presentation based on his book published that year. I was halfway through my tenure as a student at Marine Corps University, and was optimistic about the future of Boyd’s ideas. Ironically, 2007 was also the year the U.S. military accelerated its departure from Boyd. 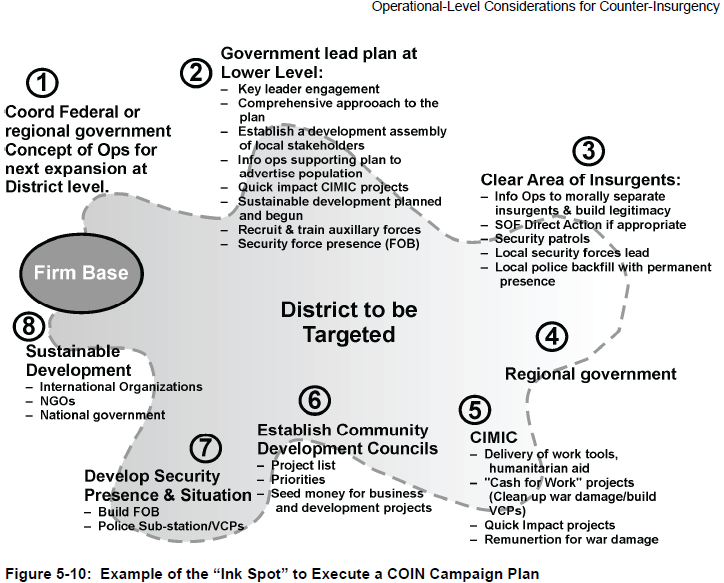 With the counterinsurgency field manual hot off the press, the military began to adopt a population-centric form of warfare that favored pinpricks and ink spots over paralysis. The approach contributed to more centralized, less enabling, and increasingly bureaucratic command and control structures. At the Boyd conference, General Zinni warned that the military was entering an age of “process warfare,” where we believe if we only master the process, we win the war. Focusing on processes made us less adaptable, as we attempted to make the war fit the process, rather than the reverse. Since then, the U.S. national security establishment has largely abandoned Boyd in practice, though his theory still represents the ideal we strive for in many ways. In 2012, the Chairman of the Joint Chiefs of Staff issued the Mission Command White Paper, which specifically references Boyd. 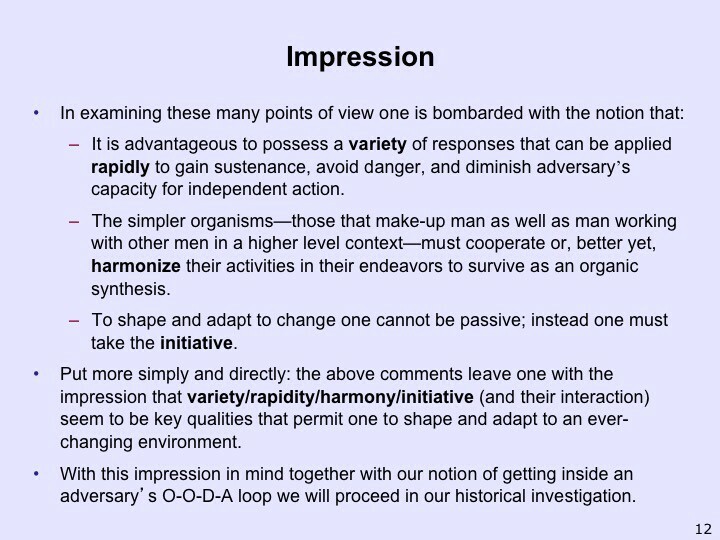 There are similar examples that show we desperately want to apply Boyd’s ideas to operational art and strategy, but increasingly fall short as our OODA loops in each case have unquestionably slowed. While some might say these failures point to the limit of Boyd’s applicability above the tactical level, it really speaks to challenges we have in collectively taking the initiative. To be fair, Boyd’s ideas may have limits in the modern security environment. 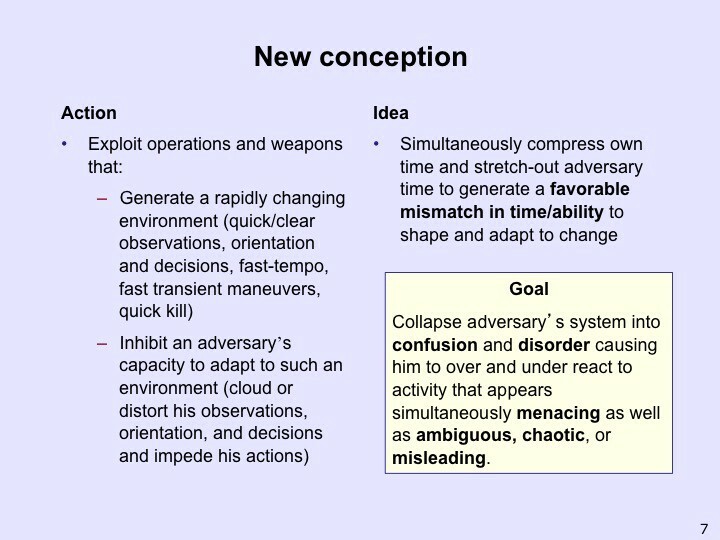 Among the OODA loop components, Boyd doesn’t give observe, orient, and decide the same treatment as act. The three former components present us our greatest challenges today. How do we observe a terrorist organization without violating rights? How do we orient a coalition? How do we decide if the amount of collateral damage is too much? The great military theorists, including Boyd, shaped their ideas before or during the Industrial Age, when human structures and organizations (including insurgencies) were generally more rigid. The challenges of the Information Age question whether we can ever behave as fast as Boyd requires. While we all understand the importance of lower-level initiative (e.g., Mission Command), we as a society have not balanced this requirement with the expectation that someone at the top is in control. Another critique relates to Boyd’s reduction of conflict to a duel between two competitors. The Middle East continues to prove geopolitical competition is extremely complex, as the number of competitors in the Syria crisis continues to grow. In most cases involving conflict, we are running multiple, interrelated OODA loops at once. Boyd would be the first to admit his ideas are not above scrutiny. He says from the start, “This is a way to look at conflict, not the way […] there are no elegant or definitive solutions.” He balked at the tendency toward static theory, which explains his resistance to writing. Boyd wanted his lens to be one of many we use to view conflict in an effort to elevate our own thinking. Along those lines, Boyd would argue Clausewitz and others would provide a good complement to his own ideas. Boyd wanted his lens to be one of many we use to view conflict in an effort to elevate our own thinking. All military theorists are human, which means their personal experiences and biases play out in some way through their ideas. Boyd’s own curiosity, tenacity, and initiative undoubtedly fed his synthesis of conflict, and his assessment of those who carried it out. We can now see and hear how one of the great theorists approached his work. This viewpoint can hopefully enrich our debates, especially those relating to how (or if) we should play the game our rivals have chosen to play. The popularity of an idea or theory amongst national security professionals tends to rise and fall like a sine wave. While Boyd doesn’t hold all the answers, he offers a perspective which, surprisingly, is often overlooked. I sought Boyd out because I thought he could contribute to my internal discourse on warfighting and strategy. I believe he can do that for many more national security professionals today. I hope they find time to crack open an energy drink, click on the video below, and become inspired by a man who was passionate about making us better at what we do. This is a video of John Boyd delivering his Patterns of Conflict lecture. The audience appears to be a group of Congressional staffers in former Iowa Congressman Jim Lightfoot’s office. The year of production is unknown, but my best guess is mid-to-late 1980s. I copied this from a tape in the Boyd Collection at the USMC Archives at Quantico, Virginia, in 2007. This is the first of fourteen total videos that recorded Boyd’s over 6 hour lecture along with questions and answers.